Posted on 12, February 2019 by EuropaWire PR Editors | This entry was posted in France, Internet & Online, Management, News, Technology and tagged AI, artificial-intelligence, Barbara Martin Coppola, Bayer, Capgemini, Capgemini Research Institute, CDOs, Chief Digital Officer, Cyril Garcia, Daimler AG, Daimler’s digital transformation, digital capabilities, digital technologies, digital transformation, digital world, digitalONE, Equinor, Frédéric Levaux, GE, IKEA, Internet of Things, Jerome Buvat, leadership, leadership capabilities, personalization, Sabine Scheunert, Saskia Steinacker, the right skillset, Torbjørn Folgerø, transformation agenda, William Ruh. Bookmark the permalink. PARIS, 12-Feb-2019 — /EuropaWire/ — The latest Digital Transformation Review by Capgemini Research Institute looks into what lessons can be learnt from the leaders in the digital transformation. The publication is titled “Taking digital transformation to the next level: Lessons from the leaders” and offers a valuable information on the changing nature of digital mastery and how advanced technologies are used by organizations to reinvent ways in creating value. 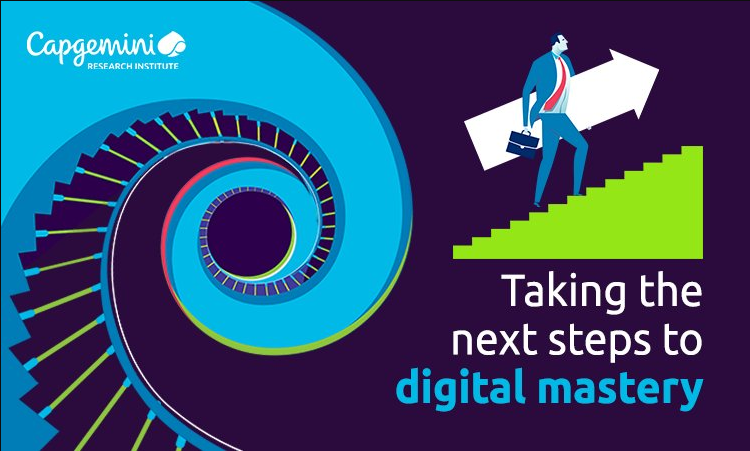 Digital leaders from large organizations were interviewed by Capgemini to gain first-hand perspectives on the key capabilities and characteristics required to succeed in a fast-evolving digital world. Interviews include: Saskia Steinacker, Bayer; Sabine Scheunert, Daimler AG; Torbjørn Folgerø, Equinor; William Ruh, formerly with GE; Barbara Martin Coppola, IKEA; Frédéric Levaux, Legrand. Capgemini Research Institute is Capgemini’s in-house think-tank on all things digital relying on a global network of experts and having dedicated research centers in the United Kingdom, USA and India. Independent analysts have recently ranked the Capgemini Research Institute #1 in the world for the quality of its research work. Interoute to support Gard’s digital transformation – To support the digital transformation, Gard has invested heavily in ICT. Interoute’s global Enterprise Digital Platform and cloud solution connects all Gard’s services and third-party applications….